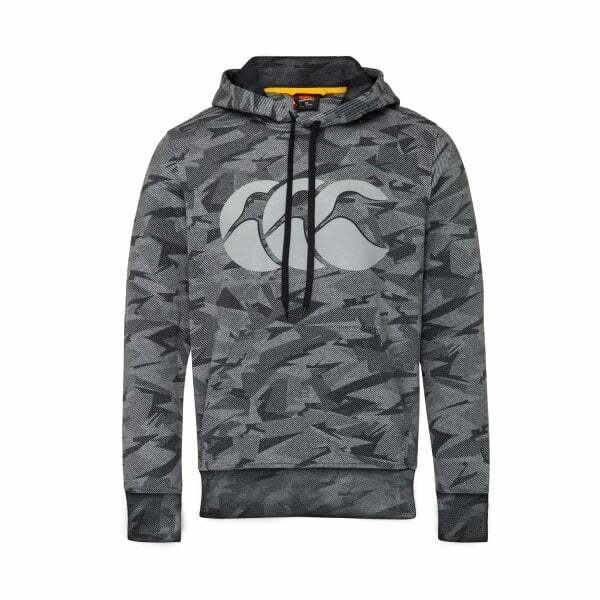 When the weather’s bad but you need to be out there for training or supporting your team, our Camo Hoody is there for you. Made from soft, warm brushed back fleece, it’s got your back whatever the weather. Constructed for maximum comfort, the Camo Hoody from Canterbury is designed to fit comfortably with plenty of room to move. It features a fully lined hood and lower front kangaroo pockets for maximum warmth and protection from the elements and sports a large Canterbury logo print across the chest that shows everyone you’re a dedicated Canterbury fan. Must-have winter wear for every active bloke’s sports/casual wardrobe.